Brand Identity Named for Zimbabwe's largest tribe, Shona sculpture has been hailed as one of the most important new art forms to emerge from South Africa in the late 20th century. SAAFair retained Design Latitudes to create a compelling and authentic brand identity and supporting graphics to enhance the sales and promotion of their unique Shona stone creations. 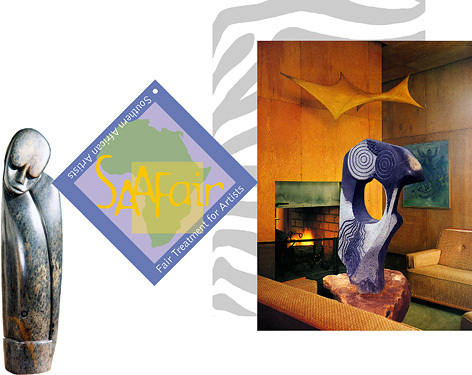 We created a strong yet elegant brand identity that conveys a unique sense of origin for SAAFair's authentic, hand-made African sculpture.